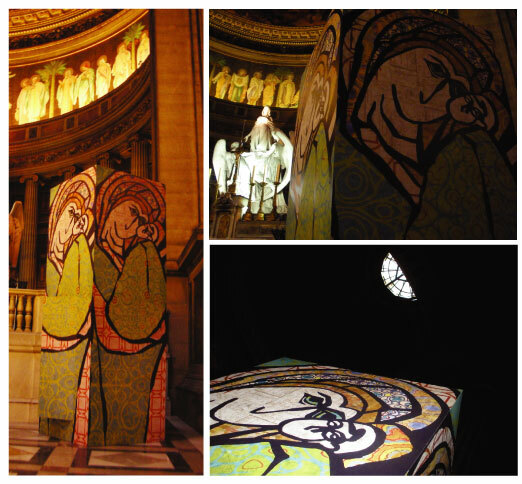 ‘ TOTEM ‘, BIENNIAL AT THE CHURCH OF THE MADELEINE – Talva Design Talva D.
Installation exhibited at the Church of the Madeleine , in the biennial ” The stelae of creation”, June to August 2009. 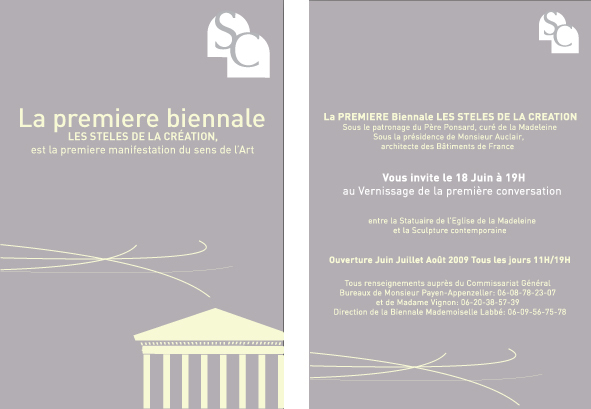 The stela of creation were exposed across the church, 150-200 works from 2 to 8m . ‘ The meaning of art ‘ gallery organized an additional exhibition. An installation of a totem and a place of contemplation inspired by the ultimate creation. 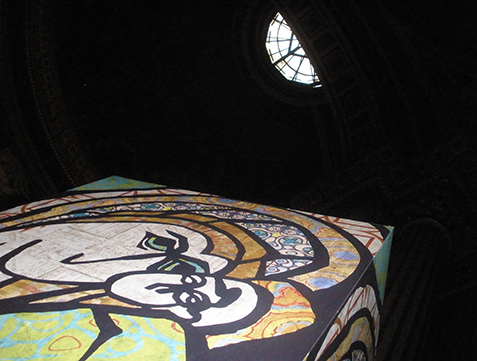 The creation is a modern and personal interpretation of the icons of the Madonna and child using patterns and architectural plans. A self-portrait of an artist , designer and architect ( Tal Waldman, Talva Design) about the collective consciousness of motherhood. The image is part of a collection that began with an iconographic exercise, later developped into the ” digital Fresco ” concept edited by Plage . 120cm square on the ground 360cm tall.